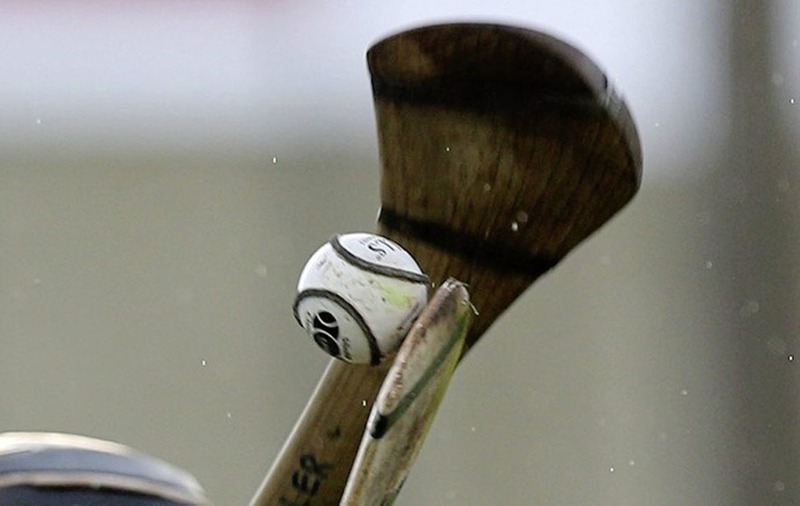 HOLDERS CORK more or less booked their place in the Liberty Insurance All-Ireland Senior Camogie Championships semi-finals after a 1-27 to 1-12 win over Tipperary in the top-of-the-table clash at The Ragg. Both teams came into the game unbeaten after two rounds of the group stages, but the visitors simply powered their way home, leading by 1-14 to 1-6 at the break and finishing with 15 points to spare. Cork established their supremacy early on with points from Amy O'Connor (0-2), and Orla Cronin, Ashling Thomson and Orla Cotter moving them into an early lead of 0-5 to 0-1. Tipperary, mainly through Cáit Devane, narrowed the gap to 0-7 to 0-4 before Julia White grabbed the opening goal and, although Róisí Cahill goaled for Tipp, it was 1-14 to 1-6 to Paudie Murray's charges at the break. Devane brought her tally to six points from frees but Cork were too hot, finishing with 11 different scorers, Katrina Mackey edging just ahead of Orla Cronin as the Leesiders' leading scorer with five points from play. Offaly defeated Wexford by 1-18 to 1-12 at St Brendan's Park to move into second, laying the groundwork for their victory in the first half, at the end of which they led by double scores, 0-10 to 0-5. Sarah Harding scored three points from play in that period, while Anais Curran had a brace for Wexford. 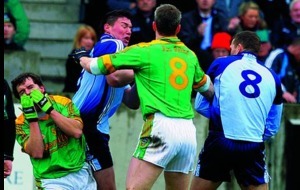 The second half was well contested but Offaly were always able to maintain their advantage. Siobhán Flannery's goal from a free was a crucial score, while Michaela Morkan and Becky Bryant also raised white flags, and Harding brought her tally to five points. Wexford dug deep and Chloe Fox's goal narrowed the gap to three points. But they couldn't reel in their opponents and with no points from three games now, they are dependent on results elsewhere to have any chance of advancing to the knockout stages. Dublin move into second place in the table alongside both Tipperary and Offaly after they had the expected 2-11 to 0-8 win over struggling Meath after leading by 1-7 to 0-3 at the break. The three Ulster sides in action in the All-Ireland Under 16 championship at the weekend all recorded comfortable wins and would look to be on course to make the semi-finals next month. Derry had defeated neighbours Antrim in the opening round last week, but they took a while to settle in Raharney before putting the home side to the sword on a 6-10 to 1-4 scoreline. Westmeath opened the scoring through local girl Ellen Shaw, but Roisin Loughlin's goal helped the visitors to an interval advantage of 1-5 to 0-1. Again Westmeath opened the second half scoring but Derry took control again with Shannon Scullion and Rachael Downey very strong in defence and Anna Cassidy having a stormer in midfield. Up front all the forwards were on fire and Catriona Toner scored their second goal in the 35th minute. Roisin Gallagher added a penalty goal and in the last quarter, Roisin Loughlin, Toner and defender Rachael Downey from a solo run added goals before a late penalty from Amelia Shaw gave Westmeath a consolation goal. Meanwhile Antrim got their campaign up and running with a battling performance in Clane against Waterford who had beaten Down last weekend. Holly Ryan opened the scoring for Waterford, but Antrim settled well and had five points on the board before Carla O'Neill fired in a 20th minute goal and added a point soon after to open up a 1-8 to 1-4 interval lead. O'Neill's Tír na nÓg team-mate Rachel Bonnes shot a second goal early in the second half, but the game wasn't really safe until O'Neill grabbed her second and Antrim's third major six minutes from the end, a score that secured a 3-10 to 1-10 victory. Armagh had struggled last week to see off Kildare by three points in their opening game, but in Dunganey on Sunday they opened up to record a 2-14 to 3-3 win over Meath. Aoife Forker got Armagh going with a sixth minute goal and they should probably have been more comfortable than 1-6 to 0-3 ahead going into half-time, when Meath hit a goal on the break. Shannon Morgan pointed twice on the re-start before a second goal from Meath shook Armagh into their best period of the match. Casey Mullan scored three points in a row, before Morgan netted twice and they were home and dusted by the time Meath registered their third goal a few minutes from time. Defending champions Galway opened their campaign with an emphatic performance in Limerick, while Tipperary had 14 points to spare over Wexford in the same group.